Bristol-Myers Squibb CEO Giovanni Caforio has friends on TV now. R&D chief Tom Lynch has done some of his CAR-T due diligence on YouTube. And one reason Celgene was interested in Bristol’s $ 74 billion buyout bid is that its own rollout of multiple sclerosis drug Otezla was, well, pretty lame. The setting: A town hall with Bristol-Myers finance employees. The cast: Caforio, Lynch, CFO Charlie Bancroft, commercial chief Chris Boerner and General Counsel Sandy Leung. The purpose: Get staffers on board with the Celgene deal and the work they’ll have to do to bring Celgene into the fold. Bristol executives have sketched their case for buying Celgene repeatedly, including at a kickoff presentation at the J.P. Morgan Healthcare Conference, where Caforio apparently made his new TV friends. But it’s a different sell for employees who not only face a major overhaul of their daily lives but the potential layoffs that come with any big merger and in the meanwhile—as Caforio acknowledged—may be working overtime because Bristol has to keep its own business humming despite the megamerger and its distractions. Prioritize, in a word, he said, adding that the executive team is looking at some internal initiatives to see what work they can halt or postpone, and employees themselves can work with their managers to do the same with their own to-do lists. But it’s part and parcel of a megamerger, as the executives noted, when investors will be looking for “synergies”—namely cost cuts, which usually include thousands of jobs. Every position left open could cut down on actual layoffs down the line. A “generic” finance job, for instance, could probably be filled by a counterpart at Celgene, Bancroft noted. But open jobs in biologics manufacturing—something Celgene doesn’t have—could be filled. The “synergy” decisions—and a lot more—are the purview of Phil Holzer and his nascent Enterprise Integration Team, which has some six months to prepare before the deal’s target close date. The company’s scaling back its long-term financial planning process to free up bandwidth on the finance team to handle the integration, Bancroft said. That leaves a lot of uncertainty on the table. One way to get staffers on board despite the questions? Recognition, and Boerner did some work in that vein by giving props to the company’s commercial team. Celgene has a half-dozen prospective launches over the next two to three years, and after stumbling with its Otezla rollout, saw Bristol-Myers’ own rollout expertise as a selling point for the merger. “They specifically called out the fact that we have had many, many launches in I-O,” Boerner said, and he didn’t need to remind employees about the checkpoint inhibitor Opdivo and its rollouts in multiple indications. 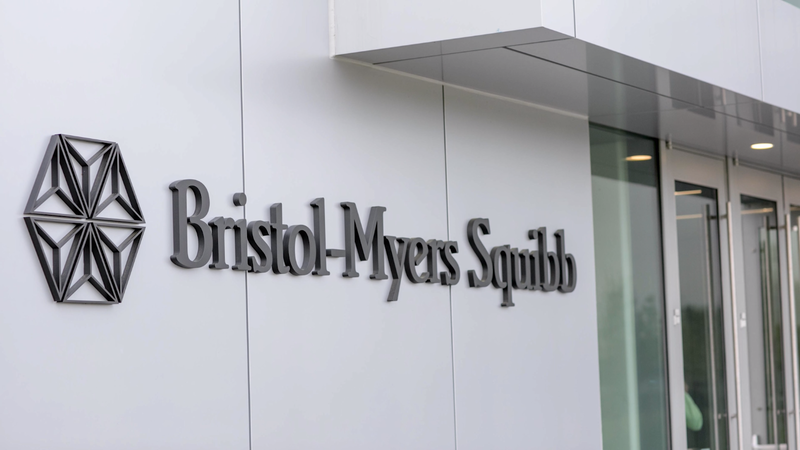 Even in areas where BMS doesn’t have expertise—such as MS—Celgene figured the Big Pharma could handle launches better than it could, Boerner suggested. “These are some of the new therapeutic areas that, as we launch these drugs, we’re going to have to get up to speed on pretty quickly,” he said, but Celgene recognized BMS had done the same in other fields before. “We’ve gotten up to speed very quickly, we know how to leverage the capabilities that others bring to the table, and that was hugely important for how they thought about this transaction,” Boerner said. Market access was a specific call-out for Celgene because its lack of expertise there was one reason Otezla faltered, he noted. And though winning access is key to most launches, consider CAR-T, one of Celgene’s biggest recent bets with its Juno buyout. “That is an area where access has been a huge issue to the uptake of those medicines,” Boerner noted. Which brings us to YouTube. One employee asked the executive team to outline their hopes in Celgene’s CAR-T business—and he was apparently pretty dedicated to discovering more about this new field because he’d been watching online videos about the technology. And Lynch went on to outline the challenges of CAR-T therapies, from the logistical difficulty of taking a patient’s own cells and shipping them to a central facility where the individualized therapy is made, to the challenge of actually manufacturing that therapy, to the opportunity of rolling Celgene’s entrant into the blood cancer market. RELATED: Gilead’s HIV portfolio soars, but is it enough to combat falling HCV sales? And Boerner chipped in to say the marketing challenges “are not trivial” either. “Sales have been relatively anemic” for the first two CAR-Ts, Novartis’ Kymriah and Gilead’s Yescarta, though the latter has started to get some traction, he noted. One key problem, Boerner pointed out, is that CAR-T therapies are an expensive proposition. “They’re expensive from a list price, but when you tack on the logistics of managing them, they’re even more expensive,” he said. “That leads to the third problem, which is that access has become an issue, and then if you add all of that up, then a fourth problem is it’s not been a particularly good experience for physicians or patients. Bristol thinks it can overcome those problems, partly because of that market access ability Boerner already touted, partly because—he argued—Celgene’s JCAR017 has some advantages over its predecessors. Its response rates are “higher, in some cases,” than Yescarta, and it might just be safer. One of CAR-T’s serious risks, cytokine release syndrome, has cropped up in 1% of patients “versus 15% to 20% for the other agents,” Boerner contended. “That’s huge because if that is maintained, you could potentially think about not monitoring these patients in the intensive care unit but potentially in an outpatient setting,” making the overall costs lower.